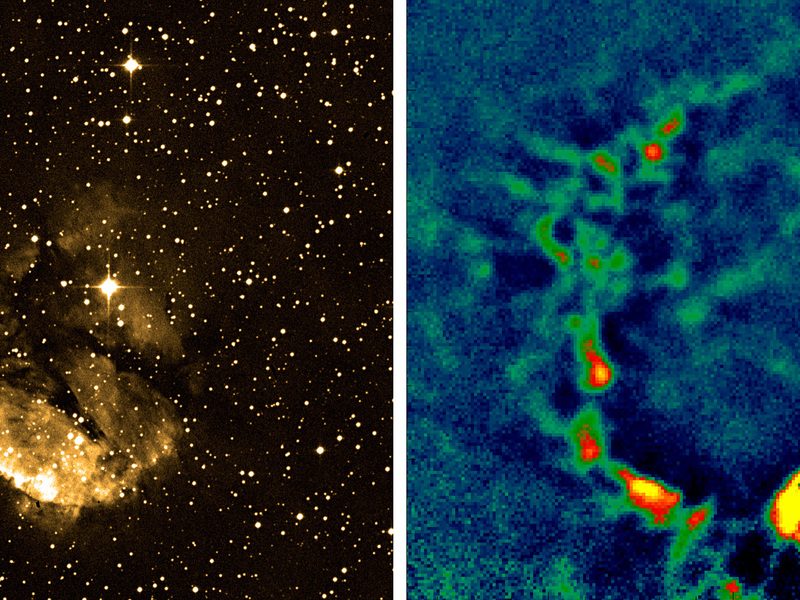 Comparison between an image of the Galactic HII region RCW 120 in the visible (R-band; as obtained by the ESO Schmidt Telescope) and in the submillimetre with LABOCA on APEX, highlighting the need to observe in this wavelength range. The LABOCA image has an exposure of only slightly more than 3 hours. The expanding shell causes the surrounding gas to collapse into clumps, which are the cradles of massive stars. As the gas in these clumps is still very cold, around -250 degrees Celsius, they can only be seen at submillimetre wavelengths. 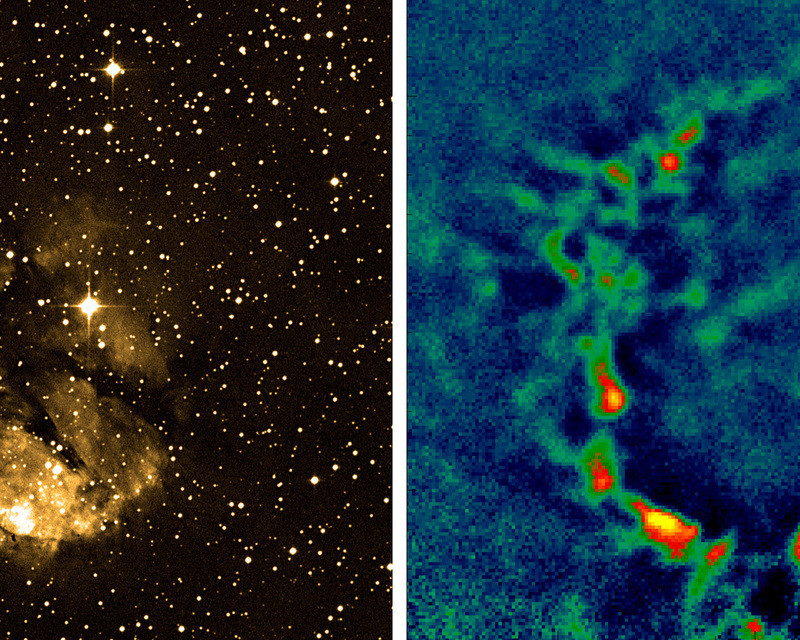 Thanks to the high sensitivity and large field of view of LABOCA, astronomers could detect clumps that are four times fainter than was possible before. 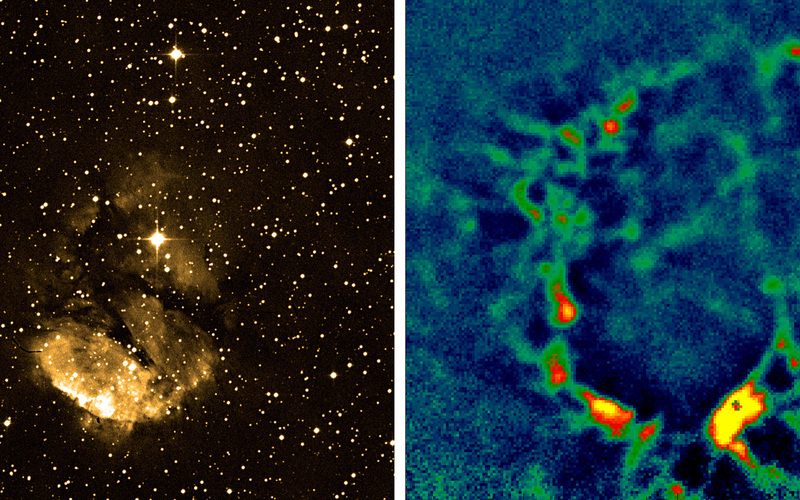 As the brightness is also a measure of the mass of these stellar embryos, this will allow scientists to study the formation of more representative, less massive stars.